Being an affiliate sounds great when you’re new and find all the courses online for beginners. 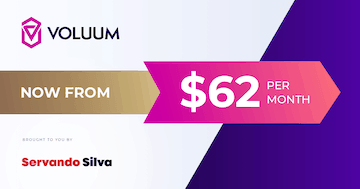 For just $29.99 you can get access to a super secret strategy that makes $50,000 per month by pressing some buttons and let the money roll into your bank account. Or that’s what they want YOU to believe. Of course the industry has a lot of potential and if you take this is a serious business you can make it work and build teams/systems to automate some of your workflows, but you’ve got to put some effort most people are not willing to. Thus, 95% of the people who get in the industry never make a penny and many times they think it’s a scam, and just a few people who are persistent, patient and play their cards the right way end up profiting from it. The same thing happens with every entrepreneur that has their million dollar idea but they never make it real. Just a few of them survive, and the rest go back to a 9 to 5 job because their idea was “too good to be true“. Some of them never left their job in the first place to try to make their dreams come true. I want to write a series of articles about how people in the industry use their affiliate marketing mindset to benefit from all the things in their “real” daily life. Again, this is a very similar mindset any entrepreneur would have if they want to success and I’ve seen it a lot in the last few years because “startups” are becoming too mainstream and everybody wants to jump in while it’s hot. Today we’re going to analyze the pros and cons of working at home vs. working in an office. Back in October 2016 I signed up to get an office in a co working space just in the heart of the city (Mexico City). I left my old job in 2013 and I’ve been working in my own projects online for almost 4 years. I actually started working in the internet marketing industry in 2011 but it took me several months to earn my first commissions and after 2 years of working a couple extra hours per day in my websites I finally decided to leave the company and focus 100% on it when I was making a similar salary from the internet by putting 1/5 of the work I was putting in my daily job. Anyways, 4 years go fast and near the end of 2016 I wanted to make a change. I don’t leave near the center of the city but anybody who has spoken with me in a conference knows I’m a city man and I prefer big cities with skyscrapers, parks and lots of people instead of living in the beach or in a small house in the mountains. I always wanted to live in the city and the last 2 years me and my partner have been visiting condos several times but we never made the jump for several personal reasons I won’t explain here. So I decided to make a split test and sign up a contract for an office at the end of the year. We have been working here for the last 2 months to see if we really like it and maybe in the near future we could also live around the office if we think it’s worth it. We decided to rent an office in a new building from a startup called WeWork where you have co working spaces and dedicated offices as well. The place is very well located (in the main/biggest street of our country) and I love the interior design and the feeling of having dozens of people working around you. You might have seen their ads on Facebook and you can check more about them in their website. They have offices in many countries so it might be a good choice for you. The offices are brand new in Mexico although they’re quickly expanding and they just opened their 3rd office after 4 months of working here. Co working spaces are nice, but do you feel comfortable enough having dozens of people around you? You can check their prices online and of course at first I was skeptical because I didn’t want to pay for something I didn’t need. So far I had been working by myself at home and just a few VAs for things I needed to outsource but this was getting out of my comfort zone. Here’s where my affiliate mindset came into play and I decided to make a split test and analyze if I could make it work or not. I signed up for a lead gen ad on Facebook and they quickly called me the same afternoon to see if I wanted to check the offices and know the details, which I agreed. The most important thing here is that you can pay on a monthly basis so you don’t need to sign up for a year or more. If you sign up but you don’t like it you need to tell them 30 days before cancelling and that’s it. People come and go all the time and so I thought I could do the same in case I didn’t like it. Worth case scenario I’d pay 2-3 months and leave it, but is it worth the hassle? After getting to know the contracts were renewed on a monthly basis my second concern was privacy. We are always trying to protect our campaigns, websites, projects from other people because competition and bad intentions can kill anybody’s efforts if you’re not prepared for it. I wanted to test the office live while working on my internet marketing projects but at the same time I didn’t want people peeking behind my back asking what I do for a living, etc. We quickly solved this “issue” by getting a dedicated office instead of just being in the general co-working area. So instead of sitting around in a sofa with another 50 people around, now I could sit down in my own desk and close the door to focus on my stuff without people asking me what I do for a living. The building has 12 floors and only 1 floor is a general co work area with sofas, ping pong tables and free beer. The rest of the floors are private offices with big companies or startups like American Express, Bacardi, Uber, etc. P.S. You can get free beer in every floor though. 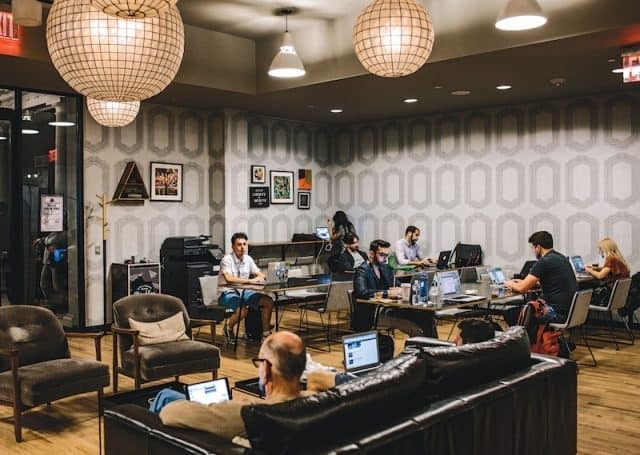 The whole environment feels different because everybody is in their office working while in the general co working area most people are small entrepreneurs, coders or people who want to build their startup and the main purpose of being there is networking. They will try to approach you anytime to see if you can work together in a project/idea and that’s not in my interests list for this year. My third concern was traffic. I hate traffic. You know, when I had an office job back in 2011-2013 I decided to move to the south of the city with a friend so I could walk 15 minutes and arrive to the office. That was awesome. My new office is in the center of the city, which is around 28km from my apartment. 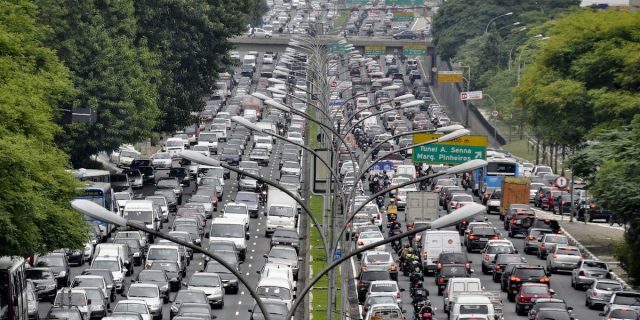 In a lazy Sunday you can go from one to another in 25-30 minutes or less, but if you try to drive to the office any day of the week during rush hours it could take you 60-90 minutes. Did I mention our city has almost 10 million people plus almost another 10 million in the surroundings area? We’re in the top 10 list for cities with more population in the world. I didn’t want to spend 3 hours of my life driving to the office again because you can achieve so much in 3 hours doing some pomodoros, so I decided to tweak my agenda a little bit and try to make the most out of it. This is similar to adapting to a traffic source to be more competitive. I wanted to get the best ROI for my time in the office and also minimize the transportation time as much as possible. 1. I decided to make tests at different hours to analyze when the traffic was worst in the city. Most people start working at 9am, while a few start working at 8 or 10am. Schools start at 7pm so trying to go to the office after 6am and until 9am is a nightmare and takes around 90 minutes or more. So I started driving at 9am and tested several hours with variations of 20 minutes until I found that going out at 10:20am is the best hour to go to the office. It takes me 35 minutes to arrive and sometimes 40 minutes maximum, and that’s something I can handle without feeling I’m wasting my day in the car. So we go out at 10:20am and arrive at 11am. It sounds like we’re lazy but usually I work 1 hour at home before going to the office and have breakfast too. In Mexico people work from 9am to 6pm officially, so in the afternoon after 5pm and during the next 4 hours it’s rush time and the city is crowded as hell. So after doing some tests we decided it was better to go back home at 9pm. We arrive at 11am and leave at 9pm for a total of 10 hours of work. Of course we take 1 hour (sometimes more) to have lunch but other than that is pure focused work at the office. I used to put 6 hours of focused work at home but now I put 9 hours of focused work in the office plus 1 hour of relaxed work in the morning before going to the office. Obviously I notice the difference as I can do more things now with my day than I did before. Is this something I could only do at the office? Not really. But I’m doing it now here and I like it. There’s no other way because we’re on our office and everybody around is working (startups love working until late) so it’s not like we can open Facebook and be distracted for 30 minutes or just sit down in my sofa and watch 2 chapters of Game of Thrones. It’s 100% work and I definitely notice the difference in the things we achieve every day. 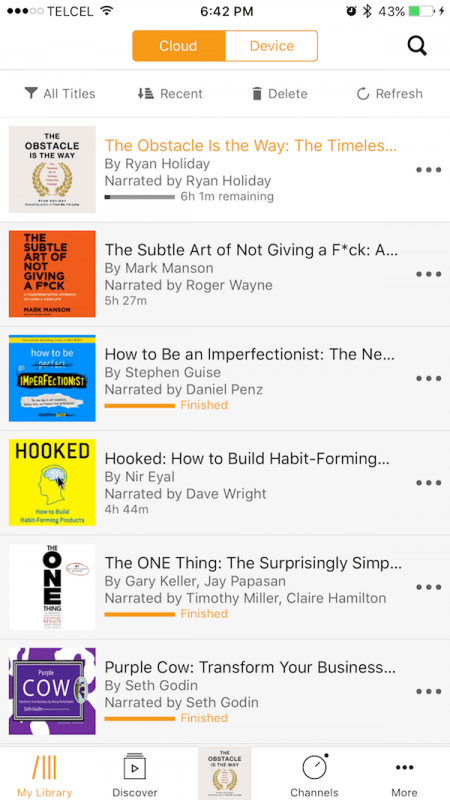 Last year I decided to read more books and also listen some of them with Audible. I failed completely because I managed to read only 3 books in 2016 and I think I heard 2 books during the year. But now we had 40 minutes of “free” time were we could do nothing else than talking, listening to music or in this case, listening to audiobooks. I also subscribed to a few podcasts to mix them up with Audible and so far we’ve heard several podcasts plus a couple books during the year. This makes our travel time easier for us while learning new things at the same time. For the last 4 years we lived in a very nice place away from the city center. There is a lake nearby and we can also go to our parents house in 15 minutes. But as I mentioned I prefer the city because I like the energy and also love that you can find pretty much everything around the corner. 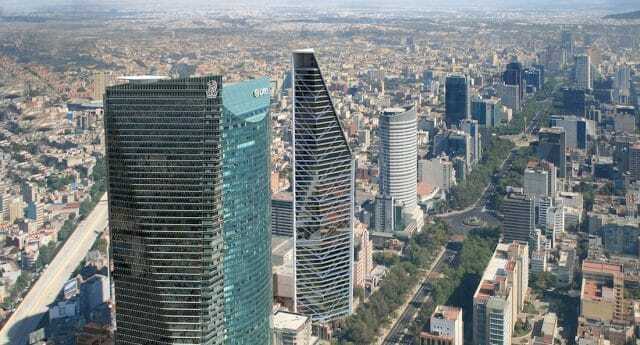 Our office is located 2 minutes away from the main street in Mexico City (reforma), and it’s the finance7business center of the country. Because of this, you can go downstairs and find 100 places to eat different food just a couple blocks away. Our apartment is located in the surroundings and you can’t walk anywhere. You need to drive the car at least 5-10 minutes to arrive to a small mall or a restaurant, thus, we used to cook almost every day of the week and go out for lunch on Friday’s just for fun. But now we have access to every Japanese, Italian, Chinese, Mexican, Argentinian, French, etc. restaurant in the city and we can walk 5-15 minutes to have some great food. If we eat in a place nearby we can be back in the office in 40 minutes while eating some great food. At home we took 2 hours (1 hour on average to prepare the food and 1 hour to eat it) for lunch on average. However it’s more expensive to eat out every day than cooking for sure. Another thing we never did in the area where we live is going out for walks. There’s just nothing to do or see around unless you take the car and drive for 10 minutes, so walking is not interesting in our area. Now we try to walk around after lunch and on average I walk 3-5km according to my Apple Watch. Way better than walking 500 meters at home. Besides having tons of restaurants we have some nice places around. 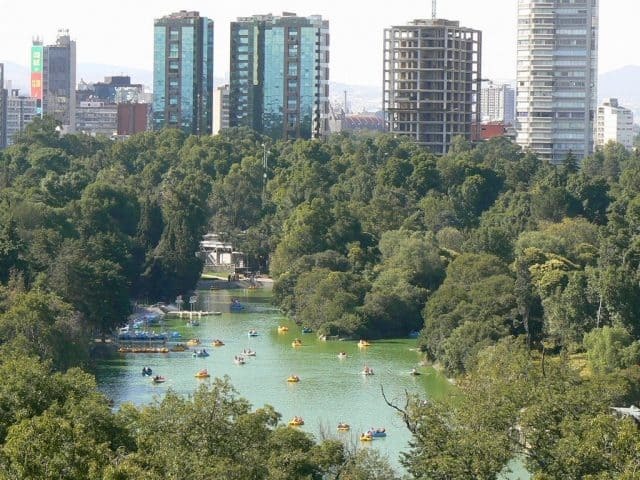 We have a park in the middle of the city called “Chapultepec” and it’s actually bigger than Central Park in New York. It’s got a castle, lakes, a zoo and more things like any huge park in big cities, and we go walk there or just walk around the office to burn some calories and stretch our bodies. Nice places to walk around and delicious food around the office. So after 10 hours of work, plus walking, plus driving and listening to podcasts/audiobooks we arrive at 10pm and we’re tired as hell. I have always been a night owl, while my girl is an early bird. So one problem I had was not being able to sleep at night. I was jelly that my girl was able to fall sleep in 3 minutes while i was starting at the ceiling for 1 hour before falling asleep. Not anymore LOL. It takes me 15 minutes now as I’m tired at night. Not everything is good while working at the office though. I’m just trying to be positive and channel my efforts to make the most out of it and see if I can make it work. So far I’m liking it but I’d rate it 8/10. It helps a lot that we’re free to go and come back from the office at any time we want because otherwise we’d spend 3 hours of our day just to commute. But there are some days where I’d rather stay at home in my pijamas (not common). Especially cold/rainy days. Or sometimes we enjoyed watching a chapter of anime while having lunch and nobody cared about us being lazy one day just because we wanted. But this is a split test, and split tests require time and data to see what works. Eventually I’ll let you know if if worked for me or not. So far it’s working, but it could be better. I’ll be patient and analyze my feelings in a couple months. I still want to move to the city or maybe another country, in which case I would probably cancel the office. I’ll keep you updated. P.S. If you enjoyed this post please let me know in the comments below. I have a few more in the works as I plan to make this “Affiliate Marketing in Real Life” a series of posts where we can use the mindset of an affiliate in daily situations. One thing I learned is not everything in Affiliate Marketing is talking about traffic sources, campaigns and offers. Sometimes it gets boring. When you talk about it, make sure you get the most out of it, but if you try to speak about campaigns and squeeze golden tips all the time you won’t be able to forge long lasting relationships and friend in this industry. Mucho gusto! De que parte eres? Soy de la CDMX, creo que alguna vez leí un post tuyo en un blog, lo pusiste en Forobeta y creo que hasta estudiamos en la misma escuela, ja. How have you decided after two months? Are you still working in the office or do you work at home now? It’s been 4 months already (2 after I published this) and yes, I’m still working at the office. Yo también he estado barajando oficinas de coworking, pero creo que un sector como el nuestro es difícil aprovechar las ventajas del networking que te podrían proporcionar, por ej: si eres fotógrafo, puede ser que en las oficinas haya algún organizador de eventos o bodas y que podáis colaborar juntos… pero como dices eso de estar rodeado de gente que pregunta, qué es eso, qué haces.. tampoco va conmigo. Vente a Cáceres Servando, yo ahora trabajo en una oficina a 4 kms de casa y tardo 5 min en llegar.. eso sí, aqui sólo somos 100.000 hab.. la verdad es que 4 horas al día al volante es una burrada, quizás en las grandes ciudades sea más habitual pero para los que vivimos fuera nos parece increíble..
Yo no me distraigo tanto pero si hay que hacer un esfuerzo. Yo ahora que pasamos como 1:20 minutos al volante lo tolero, pero sería genial que fueran solo 20 minutos. Congratulations! Sure that this decision will bring you good things. A very interesting article. Something I think. For sure, I’ll consider it for my following articles. La razon de que hayas empezado a trabajar en una oficina se debe tambien a que vayas a comenzar algun proyecto ya sea solo o con un equipo de trabajo? Tengo nuevos proyectos para este año pero nada radical. En parte para tener un equipo de trabajo local. Do you feel the same performance when you work in an office surrounded by people? Yes, you can feel the energy of everybody working around you (similar to a white noise) and I can focus for longer times. 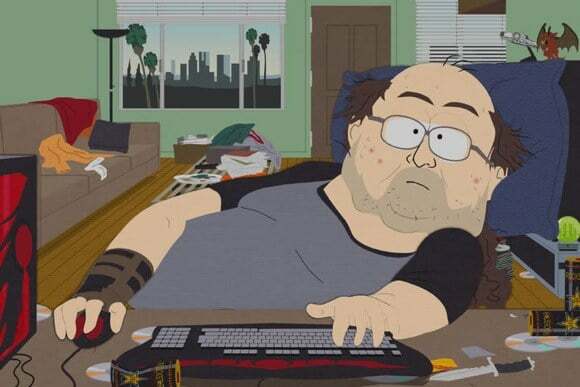 Nobody is slacking, watching Netflix or playing video games there so it makes you feel like you need to keep working even when you feel like you could use a nap. This was something I expected from the beginning. I felt the same way while working in my old job.